Elena Studier. Photo courtesy Texas Rail Advocates. The following article by Peter LeCody of Texas Rail Advocates and the National Association of Rail Passengers (NARP) is posted here at Peter’s request. It’s not unusual that a 20-year-old college student would want to see the country over her summer break. What is out of the norm is that this young lady is doing it by rail. 10,000 miles. With her bike. The ideal summer road, make that rail, trip. National Association of Railroad Passengers Intern Elena Studier is more than halfway through her 38-day jaunt around the country with her bike named “Stevie” and will be coming through Texas starting Friday, June 10. She’s showing how it’s easy to find her way around the country utilizing Amtrak, local and urban rail and bus systems, and most of all, enjoying bike rides and meeting people all along the way. Her website is www.summerbyrail.com and she’s also on twitter @railpassengers. BikeTexas will host Elena on her stops in San Antonio, Austin, Fort Worth and Dallas with bike rides. Here’s where you can see Elena and give her a big Texas welcome and, if you have a bike, come join in a ride. Fort Worth — Saturday, June 11. Elena arrives at the Fort Worth Intermodal Transportation Center aboard the Northbound Amtrak Texas Eagle trains #22 and takes a tour of the station. Local VIPs and media welcome Elena and lead a less-than-10-mile easy-pace loop bicycle ride. Before the 5:25 PM departure of the northbound Heartland Flyer to Oklahoma City Elena will inspect the new bike carrier car on the train. 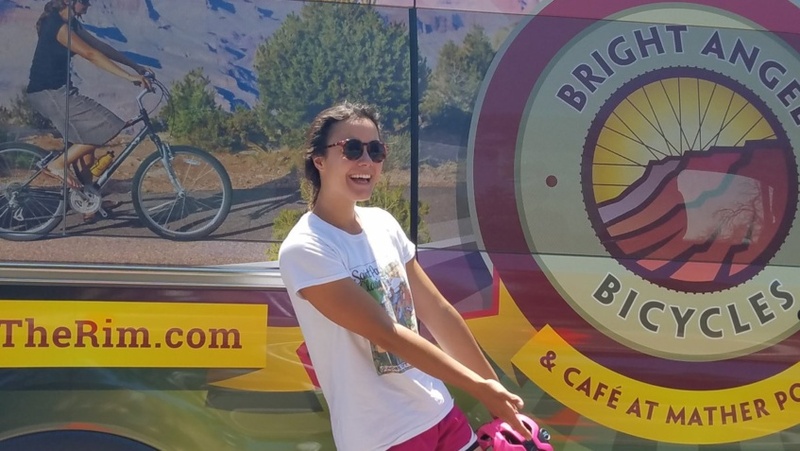 Washington, D.C. — With school and finals behind her, college sophomore Elena Studier this summer is taking her bike on an epic 38-day multi-modal “road trip” across the country by rail, visiting more than 18 cities and 15 states. Studier, 20, spent her school year interning with NARP and sketching out her big adventure. She kicks off her trip in New York City and will make stops in 20 locations—including Glacier National Park in Montana–before concluding more than 10,000 miles later in Washington, D.C. on June 20, 2016. Ms. Studier will chronicle her trip on her blog, “Summer by Rail,” to highlight the 21st Century’s public transportation services in America, and capture how people live and move in different regions of the U.S.
During the trip, Studier’s main modes of transportation will be passenger rail with Amtrak, and her bicycle, which she has dubbed “Stevie.” As Elena and Stevie travel from city to city, she will use other forms of public transportation to highlight the rich assortment of modes available to travelers including buses, ferries, trollies, ride-sharing, and more. Studier’s “Summer by Rail” project will begin on May 15th, with the first leg of her route taking her to Chicago, IL. Studier will visit 20 cities and multiple attractions on her trip including Seattle, WA; Portland, OR; St. Paul, MN; Denver, CO; Los Angeles, CA; Grand Canyon, AZ; New Orleans, LA and many more. Studier’s last leg will see her travel from Raleigh, NC to Washington, D.C on June 20th. NARP is the only national organization speaking for the nearly 40 million users of passenger trains and rail transit. We have worked since 1967 to expand the quality and quantity of passenger rail in the U.S. Our mission is to work towards a modern, customer-focused national passenger train network that provides a travel choice Americans want. Our work is supported by more than 28,000 individual members nationwide. How can U.S. streetcars evolve into better light rail systems? Prague Skoda 15T tram (streetcar) running in mixed traffic. Photo: Pinterest. The Light Rail Now Project team realize that dedicated-lane operation is superior, but we also recognize that occasionally mixed running with general traffic may be necessary. Furthermore, we believe that most streetcar systems should be implemented with a longer-term view toward eventual upgrade to “full” LRT features, included running in dedicated or exclusive lanes, under traffic-signal prioritization, etc. 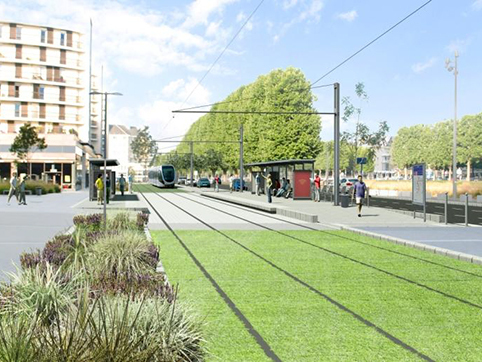 Systems elsewhere, such as those in Europe and Australia, offer excellent examples of how streetcar (tramway) systems can by installed or upgraded cost-effectively with incremental operational improvements and tweaks. Tram advocate Tony Prescott, in postings on the Eurotrams online forum, provides useful information that offers some illumination on these issues. One message you’re obviously going to have to get across in the debate is that separation [via dedicated or reserved lanes] is not a magic pill that will necessarily solve all street-running issues. A lot is … down to smart planning and operation. Mixed running along a street is not necessarily a problem till you get to an intersection, and you will see if you study a lot of the European cab videos that the tracks are segregated as they approach an intersection, as far back as necessary to avoid the tram being caught in a traffic tailback. 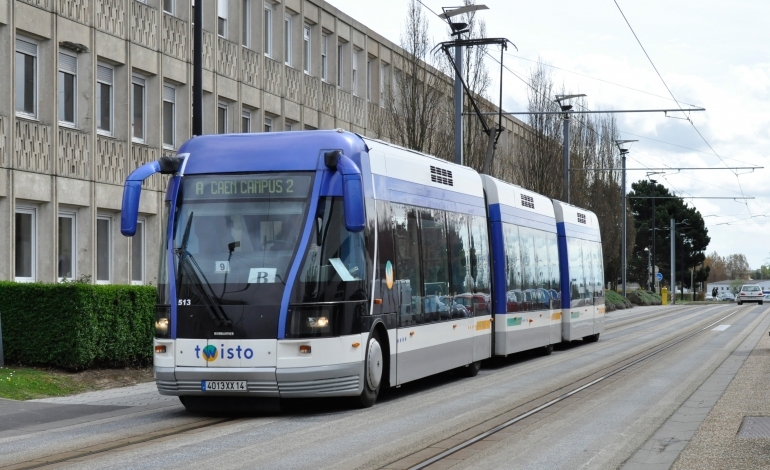 There are lots of little such techniques – and most importantly skilled management – that keep those traditional European tramways moving along swiftly, indeed often more swiftly than many expensive new separated “modern light rail” projects. 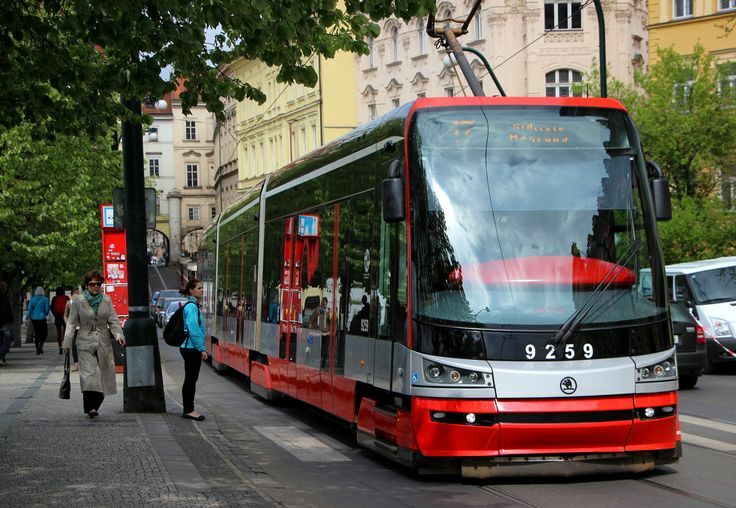 Tony cites a YouTube video of one of Prague’s tramlines (Line 18, videoed from the cab of one of the city’s new Skoda 15T trams, such as the one shown at the top of this post). The video provides an excellent illustration of the techniques used in a modern European city, with heavy reliance on tramway services for its public transport, to optimize operations via a blend of mixed-traffic and dedicated-lane alignments plus deft traffic management. Even just a few minutes is worth watching (the full video is nearly an hour in length) to acquire an understanding of the sensible, often minimalist techniques deployed to expedite tram (streetcar) operations in this city. What is interesting about this video is that it is filmed on an evening weekday peak run. … This video shows the peak-hour challenges faced on line 18 between Pankrac depot and Petriny. It goes across the city and through the centre from south-east to west. In relation to the parallel discussion here about mixed-traffic running vs separation, it shows the varied running environments, challenges and techniques on one of the world’s busiest tram systems. You can also see the now considerable development of shared running with buses through the tram stops, to the enormous benefit of bus operations and interchange convenience for passengers. This has been made possible by the development of 100% low floor buses with multiple doors, enabling the same dwell times as trams. Tony also notes that “In Prague, buses don’t enter the city centre for environmental reasons. They feed off the trams and metro at the edges of the city centre.” Perhaps an interesting and useful model for North American urban public transport? 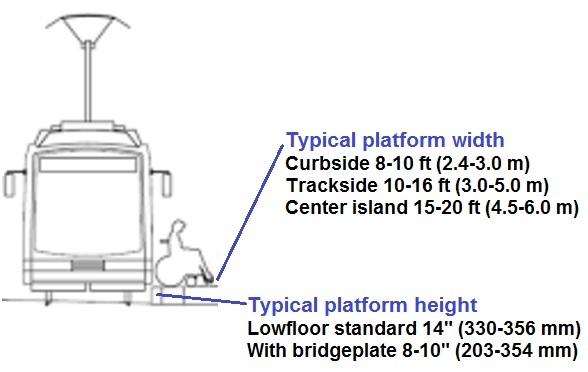 Typical LRT station platform profile dimensions, as discussed in TRB/APTA presentation on LRT design guidelines. Graphic: L. Henry. From the standpoint of public transport and light rail transit (LRT) advocacy, there’s long been a need for planners, political and civic leaders, decisionmakers, and community stakeholders to have a guidelines manual as well as a general understanding of the details of LRT design and technical issues. Increasingly, local planners, transit agency personnel, other professionals, and civic and community leaders have need of comprehensive, readily accessible guidelines to provide a resource for developing conceptual design and evaluation plans, particularly involving infrastructure and fleet requirements, for new light rail transit (LRT) systems in their communities. This paper addresses this need and seeks to initiate the development of such a resource by presenting a sampling compilation of Best Practices and design recommendations for conceptual planning of LRT alignments and associated infrastructure. This discussion lays out preliminary criteria for such a more comprehensive and inclusive guideline document, as well as providing design information based on common practice. The paper hopefully will both serve as a resource to the intended audience and stimulate further development and elaboration of a comprehensive guidelines document. It is intended to have applicability and transferability for a broad range of North American communities in the early stages of considering and evaluating new LRT systems. 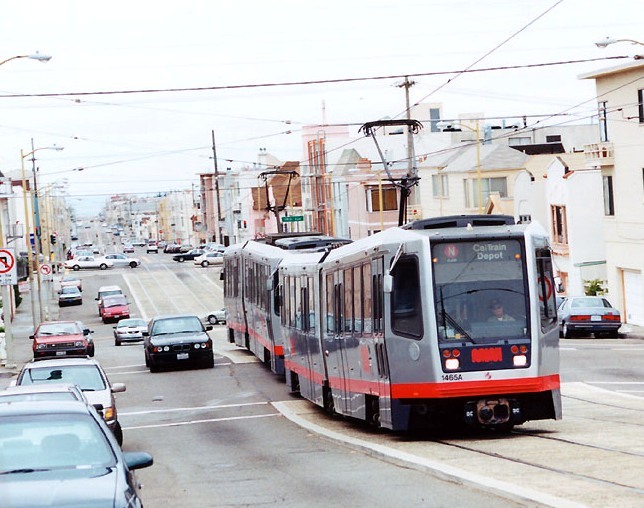 San Francisco’s N-Judah light rail transit (LRT) line provides a model of how 2-track LRT can be fitted into a narrow arterial. Photo: Eric Haas. How can dedicated lanes for a 2-track light rail transit (LRT) line be inserted into a relatively narrow 75 to 80-ft-wide arterial street or roadway, while maintaining basic 2-lane traffic flow capacity in each direction? Plus facilities for pedestrians and bicycles? Plans for inserting new light rail transit (LRT) tracks and other facilities directly into existing streets and arterial roadway	s often encounter the problem of constrained right-of-way. This can present a serious challenge, especially when maintenance of basic traffic lane capacity is desired together with dedicated transit lanes. This paper suggests, as an example, a design solution that may be applicable or adaptable to similarly challenging situations. In a right-of-way width limited to 80 feet/24.2 m , inserting dedicated lanes for LRT while maintaining four traffic lanes plus adequate pedestrian and bicycle facilities was a significant design challenge. The proposed solution utilizes the adaptation of a very similar example of San Francisco’s Muni Metro (LRT) N-Line running in Judah Street. 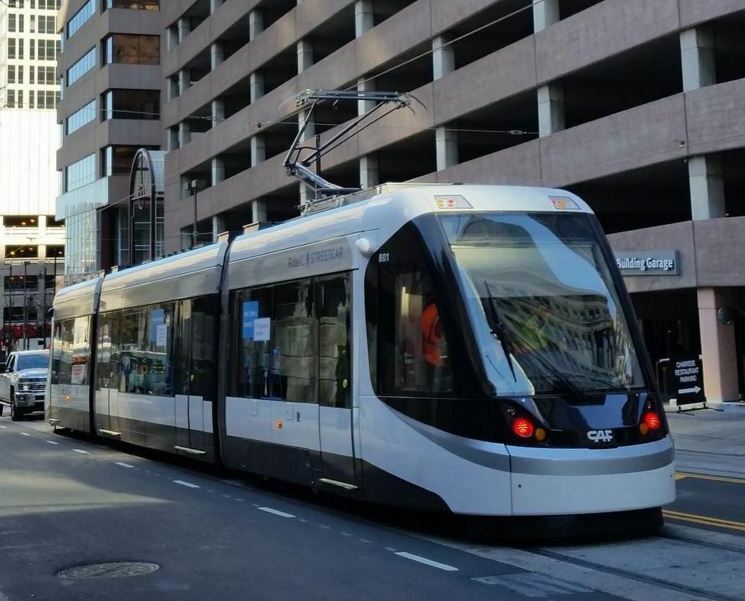 It also relies on Best Practices from several existing LRT systems and other sources such as the National Association of City Transportation Officials. Hopefully the design concept described in this paper may be useful to the intended audience in suggesting a possible approach to solving similar problems involving the installation of LRT alignments in constrained arterial roads. It is expected to have applicability, potential adaptability, and transferability for a broad range of North American communities confronting similar design challenges.